A Fox anchor is claiming that Donald Trump adviser Kellyanne Conway threw “some mean punches” at a man during one of the inaugural balls. This all happened, he said, at the Victory Ball on Inauguration night on Friday in Washington, D.C. But it got more contentious after that, Gasparino added. “Part two was even more insane: inside the ball we see a fight between two guys in tuxes and then suddenly out of nowhere came trump adviser Kellyanne Conway who began throwing some mean punches at one of the guys (sic),” he wrote, without elaborating on the identity of the two men in tuxedos who got into a scuffle. “I exaggerate none of this,” he clarified. 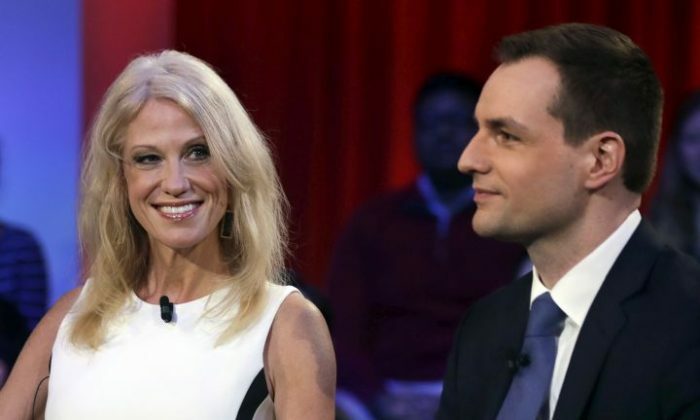 For her part, Conway has not confirmed or denied whether the incident unfolded as Gasparino described. Conway on Monday said she now has U.S. Secret Service protection after receiving suspicious packages at her home. The 50-year-old senior counselor for President Trump blamed the media, in part, for inflaming the situation. “I don’t want to say [the reporter’s name] publicly because I don’t want him to get attacked like I do,” Conway told Fox News.